For all the talk of the Civil War "pitting brother against brother," until now there has never been a single book that traces the story of one family ravaged by that conflict. And no family could better illustrate the personal toll the war took than Lincoln's own. Mary Todd Lincoln was one of fourteen siblings who were split between the Confederacy and the Union. Three of her brothers fought, and two died, for the South. Several Todds-including Mary herself-bedeviled Lincoln's administration with their scandalous behavior. Award-winning historian Stephen Berry tells their family saga with the narrative intricacy and emotional intensity of a novelist. The Todds' struggles haunted the president and moved him to avoid tactics or rhetoric that would dehumanize or scapegoat the Confederates. 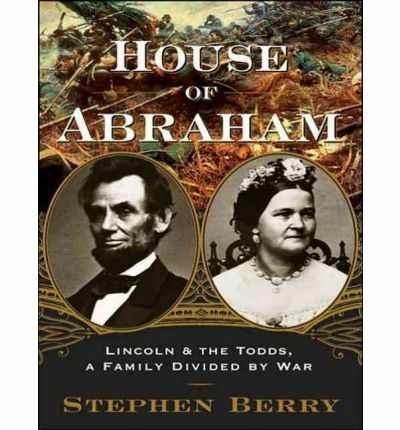 Drawing on his own familial experience, Lincoln was inspired to articulate a humanistic, even charitable view of the enemy that seems surpassingly wise in our time, let alone his.With brio and rigor, Berry fills a gap in Civil War history, showing how the war changed one family and how that family changed the course of the war. As they debate each other about the issues of the day and comfort each other in the wake of shared tragedy, the Todds become a singular microcosm and a metaphor for the country as a whole. About the Author: Stephen Berry is an assistant professor of history at the University of Georgia. He has been awarded fellowships from the National Endowment for the Humanities and the Gilder Lehrman Institute of American History, among other honors. Berry lives in Athens, Georgia.Narrator Michael Prichard is a Los Angeles-based actor who has recorded more than 350 audiobooks including novels by Clive Cussler and Tom Glancy. He recently was named one of Smart Money's Top Ten Golden Voices.